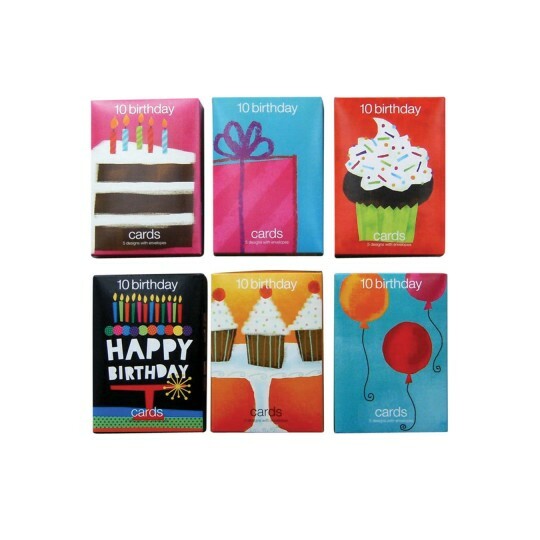 Cards measure 4" x 6"
Value Greeting Cards Birthday. An outstanding selection of greeting cards with wonderful illustrations and sentiments. 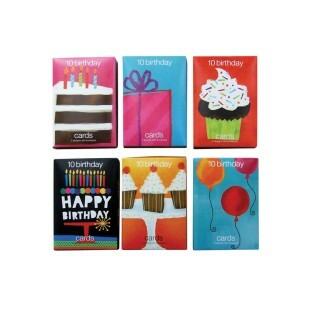 Ten assorted 4" by 6" cards per box with envelopes. This is a good mix of birthday cards for a range of people. Most are gender-neutral a few are pink and feminine. I will say the paper the cards are made from are on the thin side but it's not really a problem. Nice value for the money. Perfect cards to send to clients. Perfect item to send clients as recognition of their birthday and reminder that their insurance agent is available. My office sends these to patients for their birthdays! They love them and so do we!! I mail these to our Senior clients on their birthday. Seniors LOVE getting the cards!! !